Early in the nineteenth century, there were some famines in Ireland, culminating in the Great Famine of 1845 - '49, when about a million people died, and a further million went into exile. Consequences were devastating and caused a dramatic change in the Irish social and economic fabric. County Mayo, located on the West coast of Ireland in the province of Connacht, had a population at the time of the Great Famine of 388,887 people which declined by 29 percent to 247,830 people due to deaths and emigration. Emigration became a long-term legacy of the Famine. Most emigrants from the county went to the USA, Canada, England, Scotland and Australia, to become part of the significant Irish Diaspora scattered throughout the world. By the end of the 19th century, the US cities of New York, Jersey City, Boston, Philadelphia and Chicago and UK cities of Liverpool, London and Manchester received the bulk of Mayo emigrants. Emigration was the escape from the hunger. The most of emigrants could afford only cheapest passages on ships which left Mayo’s shores horrendously overcrowded. "Coffin Ship" was the term used to describe those ships. They often had to provide their own food; water was shortly supplied. They were allowed to sleep on an allocation of very few square metres of timber. The poor sanitation and conditions aboard ensured diseases to spread. Many died at sea and did not reach their destination. There is a comprehensive section on this site covering the History of County Mayo. Every year, people return to Mayo to experience first hand the history and heritage of their forefathers or will to unearth their roots and discover their ancestors’ life story. Surnames commonly associated with the county include: Walsh, Burke, Gibbons, Prendergast, Joyce, Murray, Gallagher, Lydon, Heneghan, Jennings, Feerick, Langan, Murphy, O'Malley, Kelly, Moran, Duffy, O'Connor, Waldron, Farragher, McNicholas, Brennan, Kelly, Loftus and Keane. There are two "Irish Family History Foundation" centres for County Mayo and they cover genealogical information for the whole county: Mayo South Family Heritage Centre and North Mayo Heritage Centre. If your ancestors came from the Westport and Clew Bay area (Achill Island to Louisburgh) you should also contact the Clew Bay Heritage Centre. The Mayo South Family Heritage Centre is situated on Main Street, Ballinrobe in the newly refurbished Schoolhouse. It is dedicated to promoting the rich heritage of the region, and its extensive database enables people with Mayo roots to trace their ancestors. Civil Records of births and deaths from 1864 and non RC marriages from 1845 and RC marriages from 1864. The centre also provides information on other aspects of the area including the social history of South Mayo. 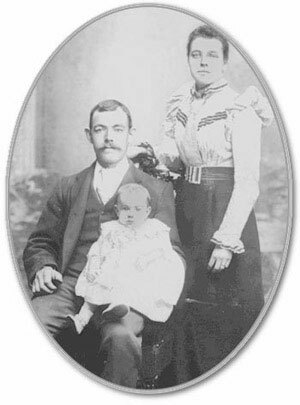 Read our Genealogy Tips to start searching your Mayo's ancestors. The book, Tracing your Mayo Ancestors, sets out the records available to the family history researcher, detailing each source, its location and reference.